Follow the steps below to reset the Epson L120 printer using the software wicreset, if you have any questions, type a comment. So far it has not appeared on an unlimited reset this printer — then appears, will be available here — many users have purchased in stores and have led to limit printing pads. 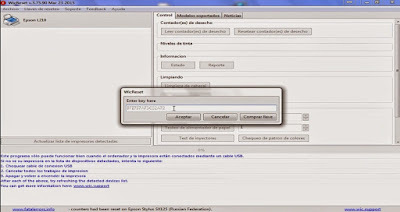 To reset the pads using this tool, you need to purchase a (key) which will use the program once. Some people do not know, but printing pads in final or full waste ink pad counter is a lock that sets the computer manufacturer when we have a considerable amount of printed pages. 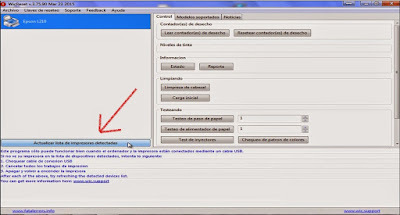 We have a lock, which is not removed and not let us print until it is restored or removed with the software below. 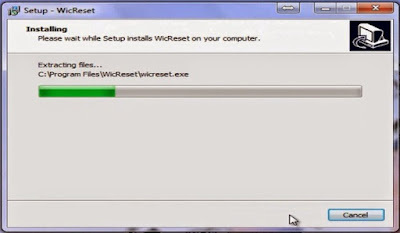 Attached get a software compatible with Windows and Mac operating systems, no matter which version you have, it will function correctly in any. We'll have to unzip the program, this will be emailed along with the key to unlock the reset function pads. We run the software and follow the installation steps — of course, they are very easy, and very lightweight program — then an image to help. Now the installation is complete, it runs, showing the options available for the printer that is connected. Click on update list of connected printers and Epson printer you want to restore appears, in this case, the team Epson L120 is presented because it is the one connected. It is important to know that only the printer can be connected via USB to the reset function. If you see us, to select another printer or continue with the chosen printer option we want, stick with the Epson L120. 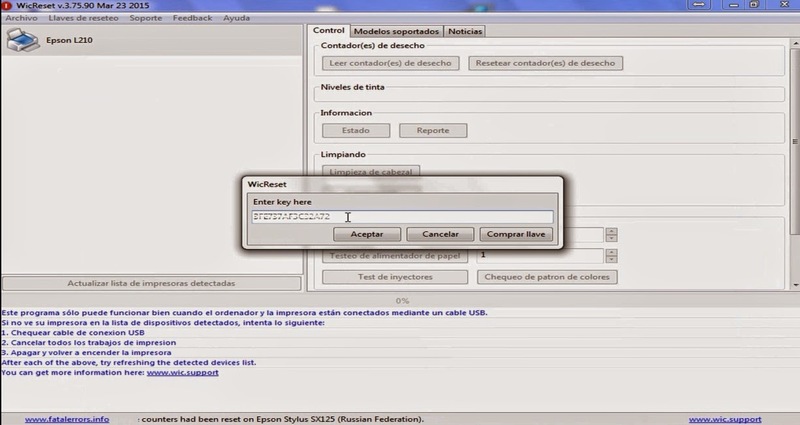 The program will take its time, about 5 seconds to recognize the program and the printer, then us a message requesting that the key that has come to the email you enter. 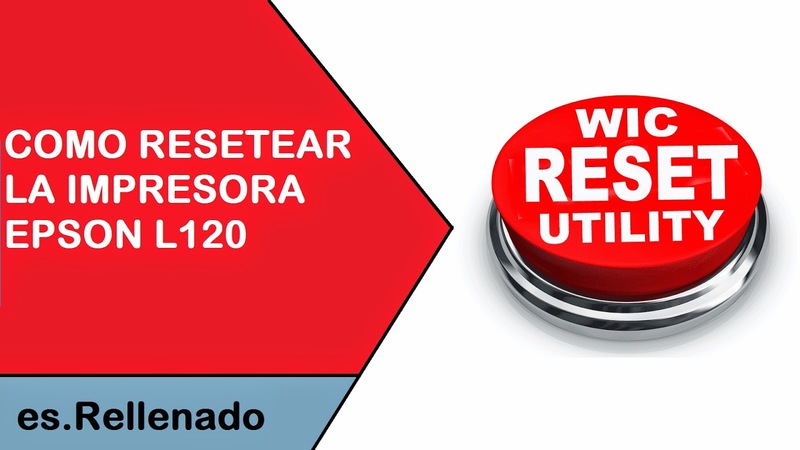 The program starts recognition of the operation we have requested, and soon restore pads an average of 20 seconds, this time we can not do anything to not cancel. After the process a message to us, saying that to apply the changes correctly, we recommend turning off the printer using the power button, it's what we do, and the printer will be restored completely. In the options of the program, we can see where the ink levels are if you want you can click and appear to zero and ready to continue using the printer. If you have questions, write a comment, I will gladly help you can do it here or in the Google+ I usually respond more easily.